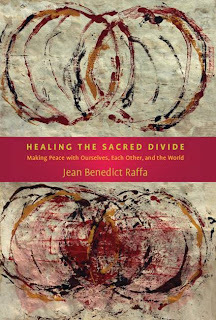 Today we have with us Jean Benedict Raffa, author of the new book on spirituality, the oneness of the God-image of the current age, and the balancing of traditional dichotomies of western society. It’s called Healing the Sacred Divide: Making Peace with Ourselves, Each Other, and the World. Thanks for being here, Jean. It’s an honor to speak with you. JR: Thank you, Jonathan. I’m honored to be here. Q1) First off, why don’t you tell us a little bit about yourself? JR: I’m a former teacher, television producer, and college professor. In my mid-thirties I was deeply unhappy with myself and tormented with questions. What’s wrong with me? Why am I not satisfied with my life? Who am I, really? The decision to go back to school for my doctorate intensified my inner turmoil until, brought to my knees, I entered a Dark Night of the Soul that lasted about nine years. During that time I functioned normally in the outer world, but in a secret chamber occupied only by me and my childhood god-image, I was in agony. Toward the end of that time I discovered Jungian psychology, began an intense program of study and self-reflection, discovered my true passions for self-knowledge and writing, and resigned from teaching to follow them. So far this has resulted in three books about the human quest for psycho-spiritual maturity. Q2) I know I already said it, but in your own words, what is your book about? JR: It’s about how the extreme polarizations that are plaguing the world today are reflections of inner polarizations in individuals. We’d much rather see our disowned sides, or shadows, out there than in here. But no matter how hard we might try to get along with others, until we face and heal our own internal separations---for example between our conscious and unconscious selves, our thoughts and our feelings, and our masculine and feminine sides--- we’ll be incapable of healing the separations in our relationships or the world. Q3) How did this book come about? What convinced you that it was a book that it needed to be written? JR: Those nine years of patiently reflecting on my inner conflicts and tolerating the tension they caused without making any drastic changes in my outer life were transformative. They took my ego’s focus away from trying to impress others and toward facing some painful inner realities. Over time I developed compassion for myself and began to forgive myself for being human. As these feelings spilled over into my relationships, my most pressing internal conflicts resolved themselves as if by magic and I experienced a renewed passion for life. This created a powerful desire to learn more about myself and what I had experienced by studying Jungian psychology, working with my dreams, and sharing what I was learning with others. Q4) What is the “sacred divide” in the title of your book? JR: Some religions teach that believing what they tell you to believe is the answer to all our questions. In other words: their interpretation of God is all-important, personal growth is unimportant, and physical matter is unworthy of notice. Because of this they don’t see the value of self-knowledge and don’t teach it. But I’ve learned that psychological growth brings spiritual growth, compassion for others, and respect for the life in all matter. Seeing how dysfunctional my former one-sidedness was helped me see the divides in all of us that keep us from loving ourselves, each other, our shared home, Mother Earth, and the Great Mystery of life some call God. Our ego’s dualistic perspective---i.e. this side of me is good, but that side is bad---masks the sacred unity of all life. But even our conflicts and divides are sacred and interconnected because they too are part of this miracle we call life. Is the north pole more valuable than the south pole? Of course not. In fact, the tension between them creates and maintains the energy of life, and what is more sacred than life? The same is true of masculinity and femininity. Thus, even our dualistic thinking is a sacred divide, and the point is simply to respect, heal, and integrate both sides of every divide instead of obsessing over one at the expense of the other. If we can’t do that, we won’t experience much personal growth in this life. Q5) Part I of Healing the Sacred Divide deals with the evolving “God Image.” Can you expound on that a little? JR: Gladly. This is one of my favorite themes. Immature egos cling to immature God-images. Examples are a child’s image of God as a kind of Santa Claus who punishes us for being bad (even though everyone has an unconscious “bad” side), and only gives life’s goodies to those who appear to be good. Another example is a masculine tribal God who rewards us with the promise of eternal life for believing in him and sends people with different, and from the tribe’s view, “wrong” beliefs to burn in Hell. With God-images like this, our morality is based on hiding our badness and trying to prove our goodness by conforming to tribal rules no matter how dysfunctional they might be. But as we forgive and love our true selves, we have more compassion for others our God-images likewise take on an ethic based on universal forgiveness and love. Q6) You also talk about an “Integrated God Image” as the final stage of the evolving God image. What does that mean, exactly? JR: Integrating our inner opposites pierces the dualistic illusion that prevents us from seeing the sacredness of all creation. We experience this as a very real and trustworthy life force to which everything is sacred: rich and poor, enemy and friend, spirit and matter, female and male, life and death. Our expanding awareness of this living mystery transforms earthly life from a vale of suffering to be stoically endured into a miracle to be joyfully and gratefully lived. Growing consciousness likewise transforms our experience of God as a dualistic judge and punisher into a life-giving source of unlimited compassion. This does not produce a woo woo state of constant, above-it-all bliss: it is simply an everyday reality. Q7) You list nine “wisdom gifts” of this integrated God image. What are they, and how do they benefit us? JR: They are holistic perception, transforming light, acceptance of the shadow, emotional integrity, partnership, balance, sovereignty, meaning, and mandorla (integrated) consciousness. They benefit us by healing our wounds and opening our minds and hearts to a new perspective that replaces our resistance to others’ differences with understanding and compassion. The more we as individuals nurture this transformation within, the more hope we will have for a world characterized by love and peace. Q8) You also talk a lot about bridging the fundamental dualities (or dichotomies) in our world—good/evil, male/female, experience/belief, heart/head, etc. How can this be done and what do we get out of it? JR: We bridge our dualities with regular practices that encourage self-reflection, train our minds, and heal our wounded egos, hearts, and bodies. These include things like studying, journaling, meditation, prayer, dreamwork, psychotherapy, body work, active imagination, some forms of yoga, and so on. Although I’ve tried most of these, my regular practices are dreamwork, writing, self-reflection and mindfulness. Oh, and underlining! The most obvious benefits to me are the diminishment of self-criticism, low self-esteem and inner conflict, and growing balance between my feminine and masculine sides, more love and intimacy in my relationships, more understanding and compassion for others, the ability to hear and follow my inner guidance, the discovery and participation in my passions for self-discovery and writing, and a sense of being connected to my true self and the sacred. Q9) What is your goal with this book? What do you want your readers to get out of it? JR: I want to help others connect with their true beauty, worth, and spiritual authority. I want to nourish their gratitude for the sacred miracle of their lives. By no means do I have all the answers to how to do this…I’m still gaining new insights every day…but I do know what has helped me, and I’d love to help others find their own inner guides to the healing adventure of their own life journeys. Q10) Finally, should we look forward to any other projects from you? What’s next in store? JR: I don’t know the answer to that yet, but I know it will come when I’m ready. Right now I’m resting, enjoying the moment, and trusting the process. I did have a rather exciting inspiration for a new book a few days ago, but it’s too soon to tell if that will develop into the full-blown passion that motivated the writing of my previous books. JR: I’d like to say thank you all for taking the time to read this, and thank you, Jonathan, for featuring Healing the Sacred Divide on your wonderful blog. Thanks again, Jean. It’s been a real treat to discuss your work, and I’m sure you’ve opened the eyes of quite a few people with your book. 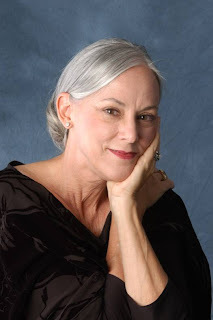 If anyone would like to learn more about Jean or her work, you visit her at her website, jeanraffa.com, her blog, and Larson Publications. You can also purchase her work on Amazon. 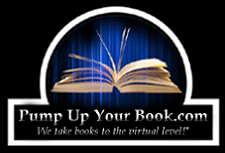 On behalf of Jean and Book Marketing Services, I would like to thank you for hosting an interview with her here at I Read a Book Once today. 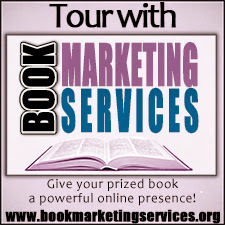 This is the last day of her tour and she will be by later in the day to respond to any comments and/or questions your readers may have. Board of High School and Intermediate Education Uttar Pradesh (BHSIEUP) conducts UP Board Intermediate examinations in the month of March every year and declare the UP Board 12th Class Science Result in the month of May.